The incredible Beatrice Malburg designed this beautiful dress for our release concert at Kulturraum³ last June. 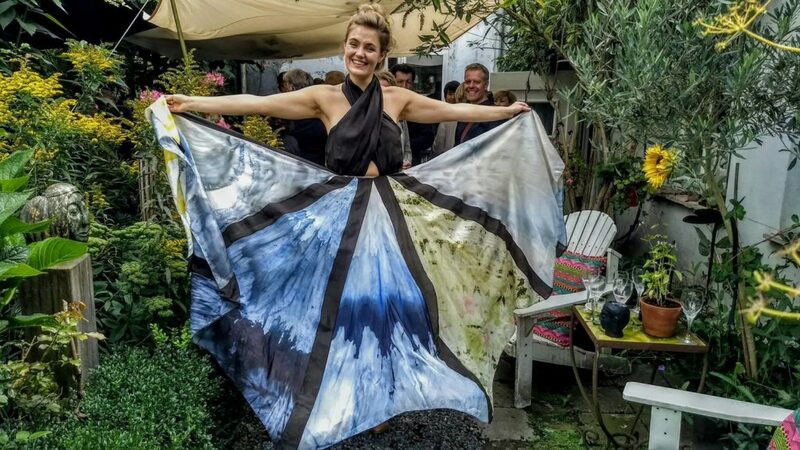 It’s made out of ten painted pieces of silk, each inspired by a different song of our album “Nature’s Songs”! Again, many thanks to Beatrice and her lovely team at Couture by Bea!